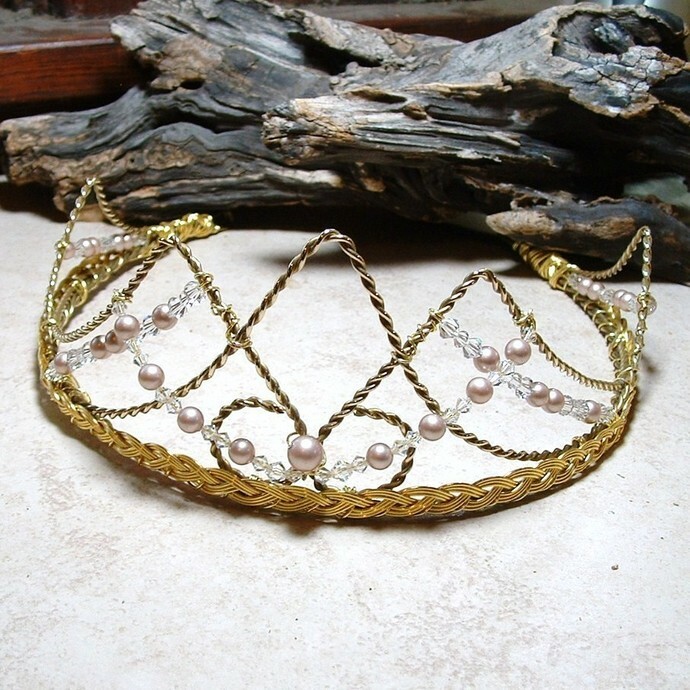 A renaissance wedding tiara with a magical story ~In ancient Irish legend, the goddess Danu was queen of all Sidhe (faerie folk).. her legend spread throughout Celtic Europe, the Danube river was even named after her! 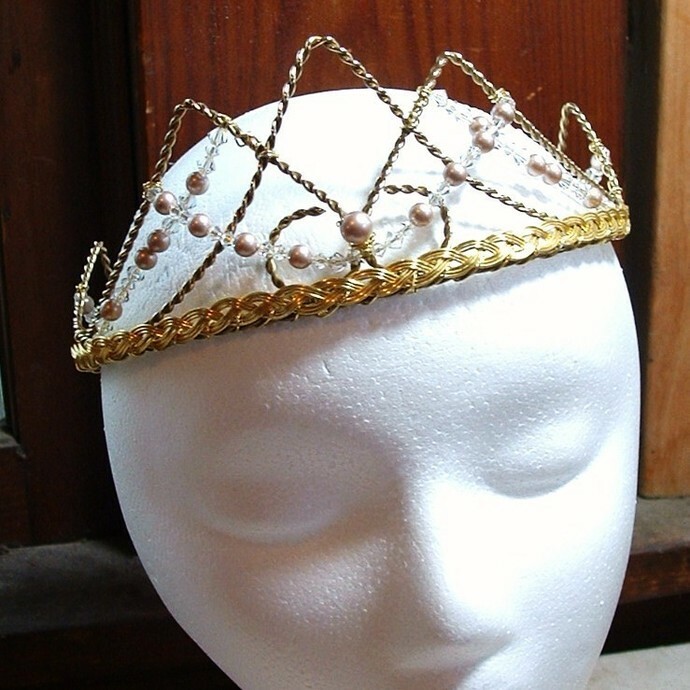 This tiara is handcrafted with genuine Swarovski crystals & powder almond crystal pearls set into a non-tarnish gold circlet. 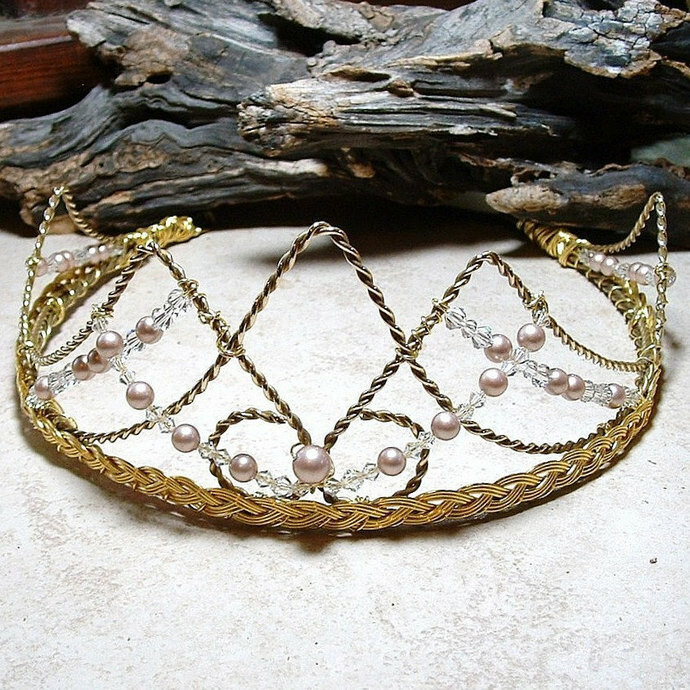 We ONLY use Swarovski crystals because they are the most beautiful in the world...in the sunlight this tiara actually showers rainbows all around! !